After an incredibly long wait, the sixth, and final, installment of the FAA’s real-time drone flight authorization system has become live across the nation. After a successful beta test that took place last spring for the Low Altitude Authorization and Notification Capability, or the LAANC, within a total of 6 operating regions, including the North Central region. The LAANC system is just one part of the FAA’s UAS Data Exchange network. 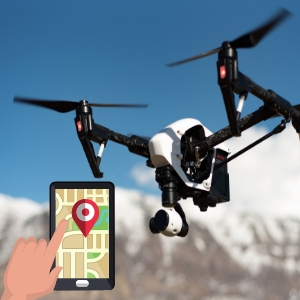 It has an aim to facilitate drone registration, as well as helping to speed up the integration of drones into the airspace through the use of private and commercial manned aircraft. It provides a near, real-time process of authorizing airspace to drone operators. In addition, it offers a more detailed picture of traffic within controlled airspace in order to provide a safe experience for everyone in the air. These services are solely based on a partnership with industry service suppliers and the FAA. The initial testing took place at a total of 8 air route control centers with the ultimate goal of covering each of the 280 air traffic control facilities spanning across the nation. Dan Elwell, the current acting FAA administrator, mentioned in a statement just a few days ago that the FAA’s LAANC is now able to cover all of the 288 air traffic control facilities, which service 470 airports across the United States. However, the boundaries and capabilities have been lessened temporarily due to Hurricane Florence, but this is only temporary. Fayetteville, Wilmingon, Jacksonville, and Florence airports within Myrtle Beach South Carolina and North Carolina have temporarily lost their capabilities during the storm. Along with turning capabilities off in these areas, the FAA have warned those with drones who live within these regions that they are restricted from taking off within areas where recovery efforts are working, 200 feet exactly, to ensure that no accidents or hindered efforts due to residential drones occur. Steep fines for flying a drone in disaster areas without the proper authorization to do so have also been made known to private drone operators, as well. Elwell anounced last April that the FAA expanded the LAANC system across the nation in order to address the climbing numbers of private drones that are operating all across the county. 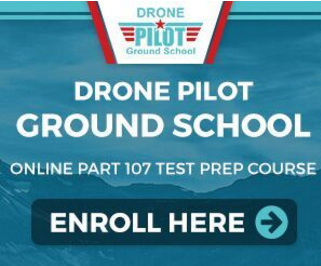 Formal permission must be granted, which is something we all know by now, if a drone user wishes to fly in airspace below 400 feet that is managed by an air traffic control facility before they take off or enter the airspace, in general.